listening to one of his lps now..the one with the two beautiful girls with him on the cover. His songs reminds me of the blissful days of my childhood in Algeria. My Dad used to play them on and on. esas canciones esas letras no parecen escritas por un hombre sino por aguien que escribia de la mano de dios, dedicandole todo su amor a la humanidad- lo escribe alquien que crecio con el amor de su alma y para mi joe dassin nunca morira. por favor traduzcan todo al español. Just heard Joe's "Champs Ellysees" song in the credits to "The Darjeeling Limited" movies. wonderful to hear his voice and remember him singing Gelrges Brassens songs on the ski trips at Ecolint in the 50's. Good Joe. One of the greatest singers of all time, some would say the greatest - a voice so powerful, it magically joins the soul with the spirit of life itself, no matter where the listener might be or what his inclinations are. Live on in us, live forever! I was in the Sochi area last August. My girlfriend tuned music on on her cell phone. And here he was, Joe Dassin, with his beautiful voice. I asked my girlfriend to turn it back on again and again. Now I am back in USA, search the net and very happy that Internet gives me GREAT OPPRTUNITIES, not only download Joe's songs but also watch his videos. I listen to his songs all over again! Just like 20-30 years agao back in USSR. Does anyone know more sites with Dassin's videos? The music even french or englisch neither german is fantastic. I love the music and the lyrics. I must have heard my mother listening to his music because it has left such an impact on me. Everytime I hear his voice or the simple tought of him I feel this fulness in my heart. I recently went to the pharmacy to pick up my digital photos and I saw his cd for 9.99$ what a deal. All the memories of his voice came back as I drove home listening to his voice in my car. What would have he become?, what an awesome man, simger, spirit........ I truly miss him and I can just imagine how his children must miss him sooooooo... When I listen to him i fall in love with my husband all over again. His music is so powerful and meanningful/ I truly miss him. Johanne 40 years old. does anyone know where i can get the trombone sheet music to aux champs elysees? I like Joe Dassin songs very much. heard of him until I mention that he is my favorite French singer. Hello! I'm a fan since 2004! Joe Dassin has made great songs with good lyrics! Bonjour! Je suis un fan de Joe Dassin parce qu' il a des belles chansons avec des bonnes textes! 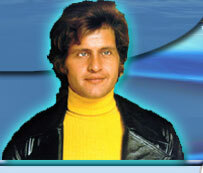 Joe Dassin was (I think he stills but he is dead.. I don't know) a very amaizing singer. I wish he stills alive so I can hear him sing live. A Note To The Makers of this Web page: It is difficult to guess the missing letters if you don't speak very English..! !